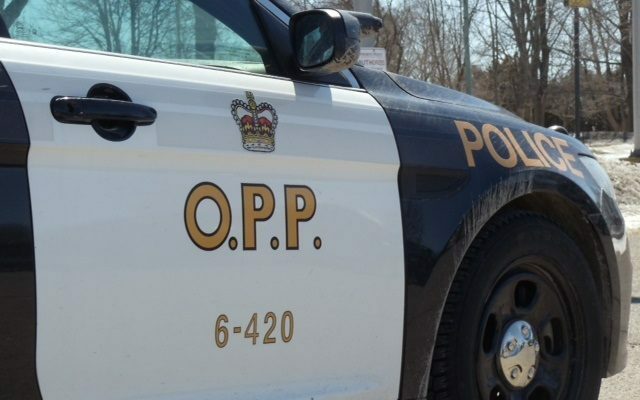 A 41-year-old North York faces a number of charges after an incident near Goderich. This past Friday, police received a report of a possible drunk driver at a motel parking lot south of the town. One officer arrived and found a man sitting in the back of a pickup truck with the engine running who was showing signs of impairment. After the driver was directed out of his vehicle and told he was being arrested, he refused and got back into his truck. More officers responded to the scene and the man eventually resisted arrest. Officers at the scene used a conducted energy weapon in an effort to gain control of the man. During the struggle, police say the man attempted to disarm the officer. The officers at the scene were able to gain control of the male and he was taken into custody. Once at the Huron County OPP detachment, two breath samples were taken and both registered over the legal limit. A 41-year old North York man faces several charges including operation of a motor vehicle while impaired, operation of a motor vehicle with a blood alcohol concentration over 80 milligrams, resisting a peace officer, and attempting to disarm a peace officer. His vehicle was also impounded for seven days and his licence has been suspended for an automatic 90 days. He has since been released from custody with a court date scheduled for March 25 in Goderich.